****UPDATE**** It has been confirmed that the Black Friday gift set (see below) will include the round Pandora box, which gives me extra incentive to get this set ;). We’re well into October and there are a few exciting promotions coming up in November! The most highly anticipated is the 2012 Black Friday Charm, named for the first day of the Christmas shopping season when stores can expect to see their profits in the black (positive). I remember how excited I was to get my hands on the “exclusive” Midnight Hearts charm because it was advertised as a limited edition. Given the marketing by Pandora I assumed that there would be a small number and sold out quickly, but the company must have over-estimated the demand because even a year after, these can still be sometimes found in stores. I’m sure the two-tone and price contributed to its lackluster performance, but nonetheless, it felt pretty good to get a North American exclusive charm. This year, there is going to be another special charm released on November 23rd, and while the picture has been kept under wraps, I have heard some rumors describing it as an all-silver present with red enamel bow for $55 with no year engraved on it. There will also be a Black Friday gift set including a bracelet ($65), 2 twinkle twinkle clips ($110), and the mysterious charm ($55) for $200 with a savings of $30. Honestly, I love the clips and I’m a sucker for exclusive charms so I’ll be getting this set, but from the description of the bead I won’t set my expectations too high. In addition to the Black Friday Gift Set, there will be a couple of ring gift sets offered from November 1 – 23. 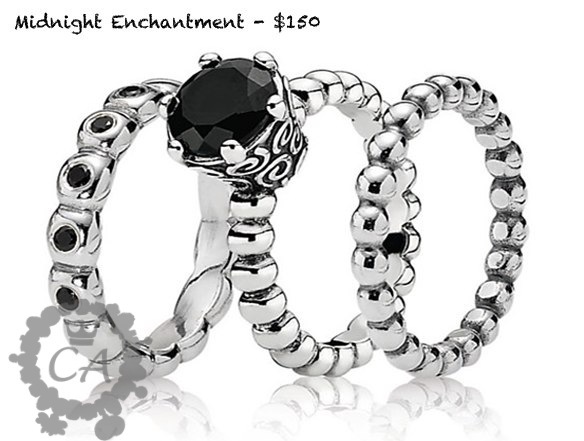 Both are lovely, and the first one is called Midnight Enchantment which includes the silver bubble ring ($35), black melanite ring ($80), and black ice CZ ring ($60) for $150 for a savings of $25. 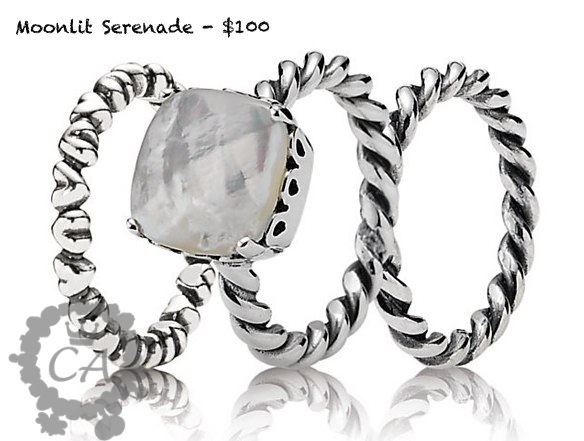 The second set is called Moonlit Serenade which includes the heart ring ($35), mother of pearl path ring ($55), and twist ring ($30) for $100 for a savings of $20. These two sets contain excellent stacks and I think I just might have to buy one of these! Speaking of rings, Perlen also started a new promotion today running through November 4th – buy 2 rings, get 1 free! All you have to do is purchase 2 rings and write in the comment box upon checkout which ring (of lesser or equal value) you’d like for free and the size. 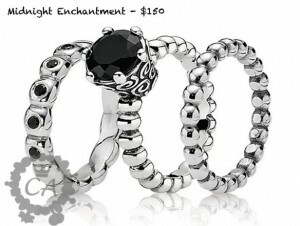 A great deal if you’ve been thinking about purchasing Pandora rings. I was more excited about the white ceramic ornament than the charm.Will they have another ornament this year? This is one of my problems with Pandora. who on earth is responible for product development and marketing are they asleep or just lazy.Do they honestly believe a gift package with a scrap of enamel and most of all no date is going to make anyone rush to the store just becuse it is $55? The gift set is ok but not special or spectacular especially for $200.Many of us have bracelets from last prom, subtract the cost of bracelet from the gift set buy 2 clips $110 and Christmas charm$55.=$165 or a little less from Perlen.Unless it comes in a super cool case with stamped date and storage space for several bracelets plus a few other bells & whistles. Last year we got to the store @ 5:pm they had gotten 25 of the midnight charms they had a 18 left.Most people who had pre ordered/paid cancelled when they saw it.Almost a year later both my local stores have them on hand. I kept mine only because it was a gift from my husband , had the date and was “exclusive”IMO slapping an overlay of gold & date on a charm that you had already done is not exciting, instead it shows lack of imagination and worst disrespect for customers to think we will accept anything just because we are collectors. 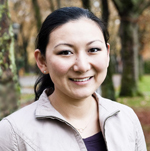 Leann, would you be interested if we nominate you to an advisory position at Pandora ?Heck,you could run circles around their team when it comes to breaking down what we will like plus what will and how to generating excitement. Thanks for your vote of confidence, Angela! I agree, sometimes I don’t know why they make the marketing decisions they do and none of the markets seem to talk to one another. That is a good point about the bracelet gift set – I have heard that perhaps that round box included in the Iconic Gift Set Pandora Club email will only be available with this set, so if that’s true, that’s something. Continue to keep us updated on this particular charm especially, Leann. I wanted to add my 2 cents, but my i-phone told me it did not go through, so apologies if you get 2 posts from me. Those twinkle twinkle clips are sooo pretty, alright. Yes I agree with you all about the date. Pandora needs to figure out what the word “special” means, and include the date! They should go all out and make this an irresistible charm! This Black Friday charm is a great idea, but they do not put enough thought and creativity in designing it. I Love my BF 2011 charm, and the memories I have of getting it are just priceless – so fun. But yes, my store still has them, too. The round box is putting me over the edge of wanting, though. I love the clips but the present does not thrill me. The box is more thrilling, lol. Thanks, Mary Jean! I can’t wait to see the mysterious new limited edition charm ;). Leann, I bet this BF charm will be so pretty. I am starting to want the red enamel charms. I can’t wait to see it, now, lol. Hi Mary Jean, I’ve seen the charm and I don’t think the tag will be pokey at all. It looks pretty flat, kinda reminds me of the tag on the lobster clasp bracelet. The BFC is supposed to be limited quantities (more so than last year) and retailers won’t be able to reorder. Well, I think that purely for symbolic purposes a black Friday charm should always have black in it and at the very least, never have red. Also, if there is a charm to commemorate a day, it should be dated. Suppose you want to eventually do a black Friday bracelet? It would be nice to identify each one. I think Pandora is playing it safe this year so that if they don’t sell they can just include them in normal stock without having to explain a date. The only way they can actually get away with something like that without upsetting their fan base is if they do in fact design a brand new charm each year for black Friday, and really make it a limited edition and a limited release. I can’t understand why it would be so hard to create a different charm for it. They seem to really struggle with the concept of limited edition. 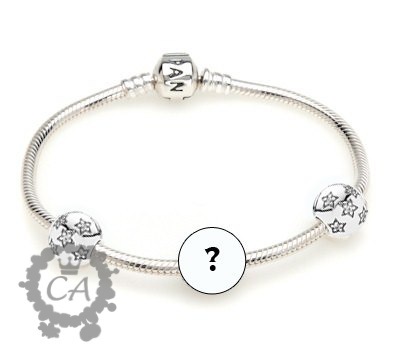 You nailed it, Pandora is lacking in vision, it takes 18-21 charms to fill a bracelet , imagine a bracelet with just BF charms Thats a collection near 20 years in the making….Wow.I agree they are playing it safe,but safe = boring and stale= decreased or no interest. With the many bracelet manufacturers it will not be long before someone comes up with a line that is a true BF collector. If the 2012 charm was dated then people would catch on to the concept and ones who did not have the 2011 would be rushing around to find and buy them . From here on no retailer would be stuck with a dated charm. I have actually seen the black friday charm and it’s really pretty. Can’t wait to get mine. It is as you described silver present with red bow, but the description doesn’t due it justice. Oh wow! Luck you, Terri ;). I can’t wait to see it myself. Lucky you to have seen the charm.I have no doubt that it is a pretty charm,but it has no more significance than any other charm .Without the date it could be released anytime.Had it been the first gift box charm it could have had that distinction,but alas it is the second again not exactly special or have to have charm. Terri, what do you think about the adorable tag? Do you think it will be annoying? I would guess Pandora would have test drove it, but I wish I could see it in person. What do you think?? Do you know if there is a November promotion in the UK? Not that I know of… I will report anything that comes up! I have seen the BF charm as well, it really is cute. It also has a small gift tag dangle, some what like the polar bear has the small dangle on it… I think people will be very pleased, especially with such a lower price point. And from what i have seen online, yes there will be a new orniment. I think people will LOVE it. Its a cute white snow boot that looks like you can put a charm into. Kinda like the sleigh had the little bag in it. I don’t buy any charms w/dates unless it has a special meaning, so I haven’t bought any black friday charms yet, but I am interested in this years. My husband started buying my the Christmas/holiday charms last year, when he gave me my Christmas gift it included 3 different X-mas charms – so I think this is going to be a tradition for him. I hope the BF Charm is special for the holiday collectors! Regarding the promos I haven’t participated since last year due to them duplicating the offers. I am not excited buy any of them. Quite honestly I think the market is being flooded by many of the vendors who make charms-except for the NOVO Beads which I am more interested in since they are made in the USA! Hi Jennifer. Do the NOVO beads fit your Pandora bracelet? I’m interested in the mini CZs. Do you have any of those? Thanks for the continued BF updates. And yes, I’d prefer the charm dated, the box does influence me, and you have my vote for an advisory board. Since you are so good with rumors and chasing down information, I thought I’d toss this one to you if you are inclined. A very knowledgeable Trollbeads diamond level dealer (who was at the Vegas convention) just recently told me that Pandora as a company came from one of the brothers in the family that started Trollbeads. Apparently a family dispute caused the brother to leave and start Pandora. Have you heard anything like this?? They are both Danish companies. I suppose it could explain why both companies have their marketing issues: genetic influence! Hi Sherri, I’ve heard of this rumor and have thoroughly investigated it ;). Mads Troll is not related to the Trollbeads company, which was started by Søren Nielsen and Lise Aagaard (brother and sister) and is still owned by the family. 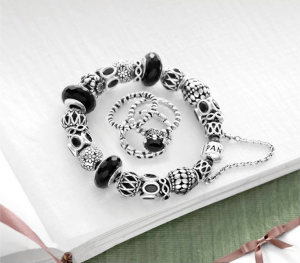 Trollbeads was named after one of their first charms (a troll). I’m on the fence about this years BF charm. I’ve only been a collector since June 2012 but once bitten by the bug I went after some of the retired/limited editions which included the 2011 BF Midnight Hearts charm. I really like it as it has a little of everything I love about Pandora: silver, gold & enamel. I wish this years charm would mimic those elements and the date is an aspect I like as well. If they weren’t going to continue with dating it year after year why did they even start? Makes the one we have seem a bit silly. I’m not crazy that this years charm is a present either (although I believe in the top 100 list the silver present was up there?) 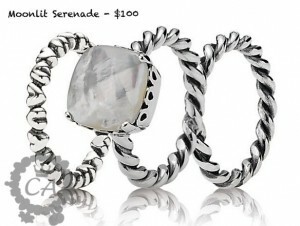 This may be where Pandora got their idea -but if so many already have the silver present do they really want another? For me (although I LOVE getting presents) I don’t really want that as a charm. The 2011 Midnight Hearts charm seems more universal and not as gimmicky. Will I buy this years? I’ll wait to see it in person and knowing my lack of impluse control will happily fork over the cashola. As soon as they slap a “limited edition” or “exclusive” on anything, I’m there! So you are the person “there” with me LOL.”limited edition” or “exclusive” is like saying have to have but I am limiting my Christmas/holiday purchases until I see what Redbali has. Any word from them? Not yet! I’m hoping soon . Hi just wondering on there ring sets will they let you swap one out? I would love to have the white set but already have the heart ring that comes with it and don’t want another but would love to have another band that cost the same! Thanks for keeping us up to date! Hi Crystal, it’s going to depend on your store. Some will allow you to swap and others are strict so I would just ask :).